Champa Sharma Service Details - Toronto, Ontario | Bernardo Funeral Homes Ltd.
We encourage you to share any memorable photos or stories about Champa. All tributes placed on and purchased through this memorial website will remain on in perpetuity for future generations. The entire Kurland part of the Sharma family was and is saddened to hear of mom's passing. 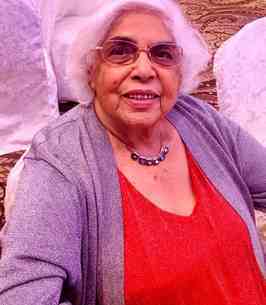 We loved her, will miss her greatly and are just blessed to have known her and to have so many fond memories of the Sharma family growing up in Plantation. Sister Mirnie, Sister Mala, Ranie, Vishnu and Pramperkash are beautiful embodiments of their parents, Narine and Champa and grace their memories.